WHICH COACH IS PERFERABLE:LAID-BACK OR ENERGETIC? IS DEMEANING AND MANIPUATION A VALID COACHING STYLE? ARE YOU PLAYING WITH YOUR KIDS AT HOME? IS COACH BEING UNFAIR , OR IS YOUR SON A PRIMA DONNA? Hello Tom, I am a parent of a young man who is in high school playing basketball. My son plays freshman and he is very talented and everyone has said he should be moved up but they just won’t. His teammates turned on him calling him a ball hog and so on. He doesn’t want to play for them anymore yet they still won’t move him up. He is better than the players on the other teams. Now I feel that when these kids are not brought up due to politics in the programs and it is in these programs they say no but come on coaches we are not blind you are doing these kids a disservice. Especially when they play for boys who don’t involve him they don’t play as a team and he is left trying to make it happen alone. He has no finishers or strong players on the team with him. Yet the coaches from the other schools see and know and have said he should be moved. But yet again politics and coaches have their favorites and their upcoming favorites. I don’t want to sound bitter or rude but my son deserves better along with many other young athletes that should be given fair chances. Yet my son still sits on a freshman team that hates his playing ability and coaches won’t move him up. It is sad because he doesn’t want to play and wants to transfer schools and trust there are schools that know his talent and students that say he should be on varsity. So what do we do to keep these boys engaged in the game of basketball? We should start having reporters and papers giving freshman, and JV exposure as well, so that these players get known and start making these coaches do the selecting the right way. Spots should be earned not just given because of who you know, who you are, or because you played last year. 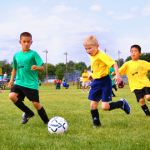 Each child should be given fair chances to try out for the higher teams if they are good enough and not based on politics. I am sorry that you have to go through this. It is hard for a loving and involved parent to watch these kinds of stressful situations unfold with their kids. I want to respond to you from my experience and perspective as a player, coach and dad. Let’s talk about the hard things first. First I would look at your personal involvement and attitude. 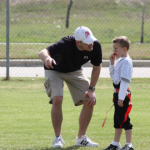 As hard as it is to admit and justify, many coaches put up a red flag and a big wall of defense to the overzealous, over involved and too outspoken parent. Is that you? Are you driving everyone nuts? Now let’s look at your son: is he a ball hog, and is there an air about him communicating that he feels he is superior to them? Sometimes as parents we don’t see what the others see. As hard as it is to see this, there has to be something going on causing his teammates to have a hard time playing with him and the coaches to have a hard time working him. It’s hard to imagine one is right and the other 15 or so are wrong. It does take only one person to mess up the “chemistry”, and cause an unhealthy atmosphere. Other coaches? You really can’t put too much into what other coaches say. They usually have way too much to deal with on their own and adding another controversial issue to their plate is unwanted. Could they just be saying what you want/need to hear to eliminate another potential issue? They have their own parents and team chemistry to deal with. Is it possible that your son’s attitude and dislike of the team could be the effect of your opinions rubbing off on him? Is there some learning in this for him? Will he learn more than just basketball this year? Can he learn how to be a good teammate on a bad team? I love to watch and coach teams when a good player makes the others around him better players. Can he fill that role? What about the idea that the coaches will be more receptive next year if they see that he has put in his time and submitted to what they thought was best? Now let’s look at the other side: if you are right, and there are politics involved or unfair assumptions and, accusations, and all attempts to resolve the problem have been exhausted, then it might be worth looking into a different school and a fresh start in a new environment. Just make sure everyone brings along what they have learned (fair or unfair) from this past experience. I really do think that it is one of the most difficult kinds of situations we can be in as a parent. Anything that hurts our kids hurts parents 10 times as much. The most important thing in this is that he finds a way to enjoy basketball and have lots of friends in the process. Keep working towards that end! If you have questions or comments, you can email Tom Kuyper at: tomkuyper@kidsandsports.com.